Rodney Dean “Rod” Squier left the bonds of this earthly home on Friday April 5, 2019, the day he came into the presence of the Lord. Rod was born on August 11, 1954 in Newport Beach, CA to Roger and Betty (Whitehead) Squier. As a boy, Rod worked summers at the Browning Company in the sila-flex division where his parents were employed. He loved the California life; swimming, surfing, fishing for squid with his uncle on his boat, and Grandma Squier’s homemade treats after school. Most of all he loved riding his dirt bike in the desert. Rod attended Costa Mesa High School. He threw the shot put and he always said he played water polo – “until his horse drowned”. As a young man Rod worked at the Cla-Val Company. In the early 80’s he moved to Missouri with his wife and young family. There he learned the art of installing floor covering. Rod worked for several businesses including Cherokee Carpet in Olathe, KS and Rigdon Floor Covering of Kansas City, KS. On July 2, 1994 he married his soulmate, Susan Blackwell at the First Christian Church of Olathe, KS. With that marriage he gained two more children. In 1995, Rod was offered a job with El Dorado Floor Covering and moved his family to Cedar County, MO. He loved the country life. Rod enjoyed scouting with the boys, hunting and fishing. He loved people. The job he loved most and was most proud of was when he became and EMT. Shortly thereafter Rod was offered a job with Vernon County Ambulance, and moved again to Nevada, MO. Rod loved to meet people, and he really loved to talk, and he loved to make people laugh. He loved the KC Royals, KC Chiefs and Nascar. He loved to ride his motorcycle all over Missouri and Kansas, but most of all Rod loved his family, especially the grandchildren. 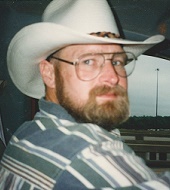 Rod is survived by his wife, Susan, of the home in Ft. Scott, KS, six children, Josh Squier and Jenn of Bennett, CO, Shila Squier of Belton, MO, Jeremiah Squier and Julia and Erica Wilson and Ryan of Elgin, OK, James Squier and Michelle of Kansas City, KS and Sarah Wilson of Pittsburg, KS, thirteen grandchildren, Elijah, Jeneva, Aria, Xander, Caden, Napolean, Emily, Makenzi, Adrian, Millie, Jack, Evelyn, and Tucker, one brother, Mike Squier, Costa Mesa, CA and his mother-in-law, Larue Shriver, Olathe, KS. Rod was preceded in death by his parents, infant grandsons, Dreygan and Riley Taffner, and his old buddy, Smokey, his chocolate lab. Funeral services will be held at 2:00 p.m. on Tuesday April 9, 2019 at Ferry Funeral Home in Nevada. 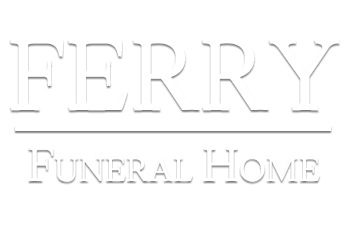 Following the service, cremation will take place and a private committal service will follow at a later date in the Hamby Cemetery in Cedar County. Memorials are suggested in his memory to the family in c/o Ferry Funeral Home.